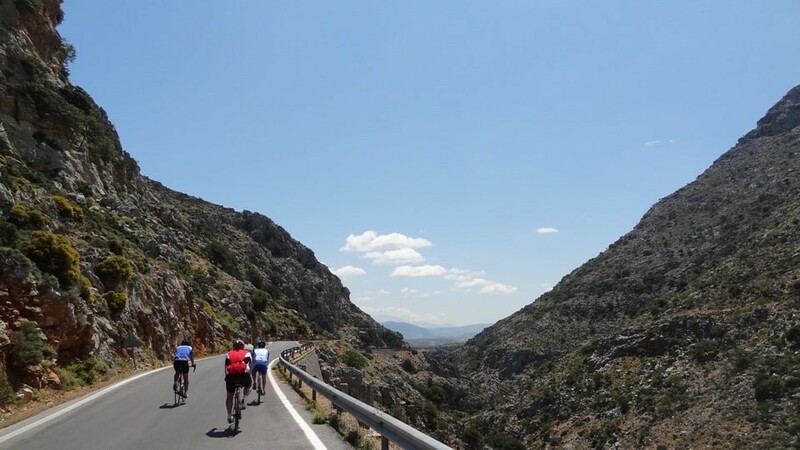 Our favorite short, round road training route starting from Heraklion. Although the total climb is 800 meters, it is not a exhausting, as the slopes are very good, the pavement is excellent and the nature in the heart of the province of Malevizi is magnificent. From Gazi to Krousson there is the alternative option straight from the new road but we prefer this from Keramoutsi - Korfes as there is no traffic, there are some flat sections to lower the heart rate and the route is more beautiful. 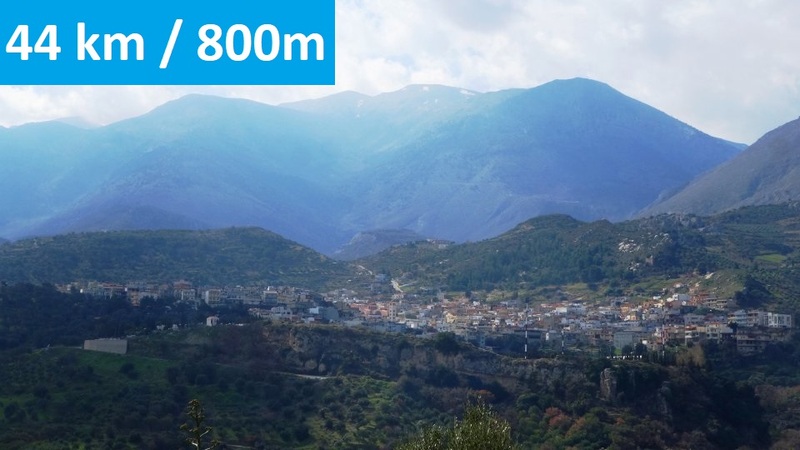 This section of 9.5 km is the major climb of the route on which you can compete against other cyclists on strava. The downhill from Krousonas to Kitharidas is very steep and we must be very careful so that we will not fall in an olive field. The second strongest climb is the 3.5 km segment from Kitharida to Pentamodi village also with good slope and beautiful landscape. The return to Heraklion is from the wide street of Ag. Myron - Voutes. At PAGNI hospital you should be a more careful with pedestrians and stray dogs. 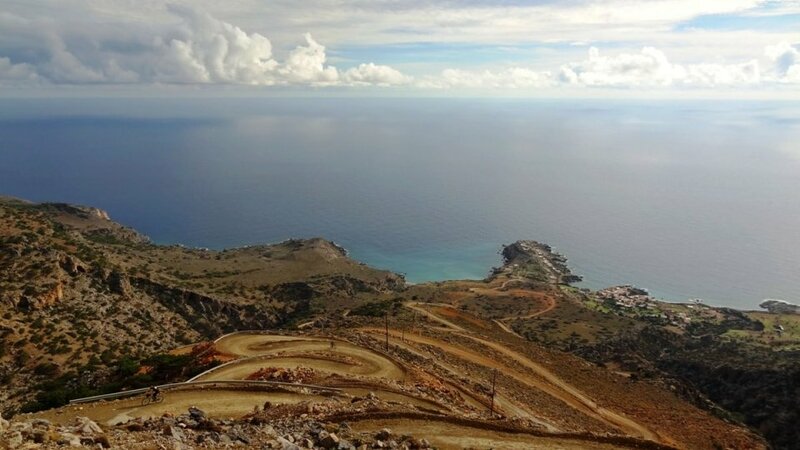 It is recommended to ride the route counterclockwise unless you want to test your legs on the killing climb from Kitharida to Krousonas. The Malevizi province, on the heart of which you do this route, has taken its name from the Venetian fortress Malvicino, which was on the top of the hill between the villages of Keramoutsi and Korfes. 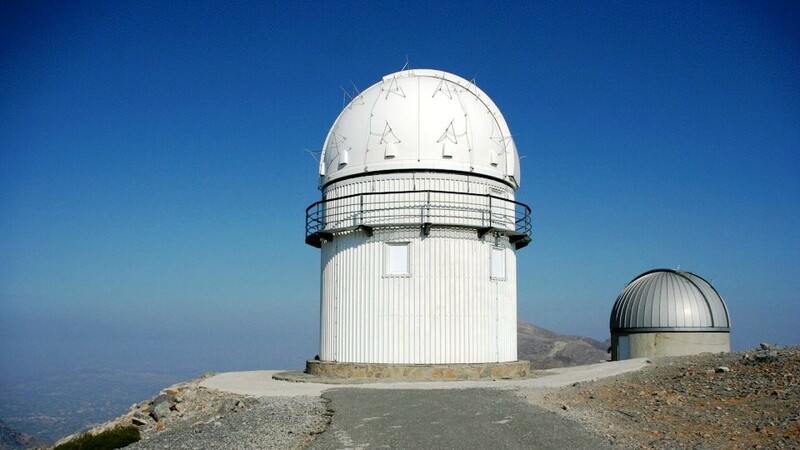 The location which nowadays called Kastelli Malevizi, has an excellent view of almost all the province of Malevizi and controls the passage to Mylopotamos. It is considered that the fort was built by the Genoese pirate Enrico Pescatore during the Genoese occupation of Crete (1206-1211). For the name Malvicino, which means a bad neighbor, there are two theories. According to the first theory, which is the most prevalent, the name derives from the Malvicini war machines (bad neighbors) with which the fort was equipped. 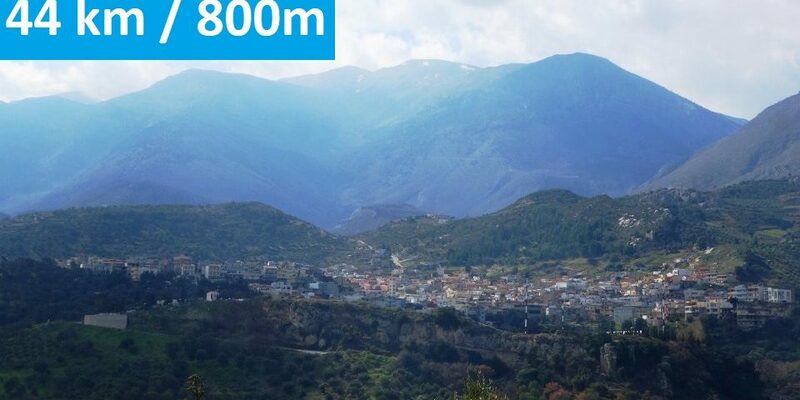 According to the second theory, the name derives from the proximity of the fortress with the unbearable mountainous areas of Malevizi and Mylopotamos in which the Cretans rebels were hiding and constantly caused problems to the conquerors.